Levis exec Walter A. Haas Jr. recalled for generosity – J.
Jews throughout the Bay Area expressed sadness at the loss of one of the nation's premier benefactors, Walter A. Haas Jr.
"He has long been among our major donors," said Wayne Feinstein, the S.F.-based Jewish Community Federation's executive vice president. "He was an unusually caring and generous human being." Haas, a longtime Levi Strauss & Co. executive and Oakland Athletics owner, died of cancer Sept. 20 in his San Francisco home. He was 79. A multimillionaire businessman, he was renowned for supporting hundreds of civic and cultural causes, including several Jewish organizations. Rhoda Haas Goldman, who described her brother as a "caring person who lived life to the fullest," said his generosity stemmed from the tradition and example set by their parents and grandparents. "All of these were Jewish values that he inherited and lived by," she said. "We all felt fortunate and we all wanted to give back." Goldman added that her brother "wasn't traditional or particularly observant," but he never shrank from giving to the Jewish community. Nine hundred people, including San Francisco Mayor Frank Jordan, Oakland Mayor Elihu Harris, former Secretary of State George Shultz and state Sen. Milton Marks attended Sunday's funeral at San Francisco's Congregation Emanu-El. Uri Herscher, executive vice president of the Hebrew Union College, delivered one of the eulogies. 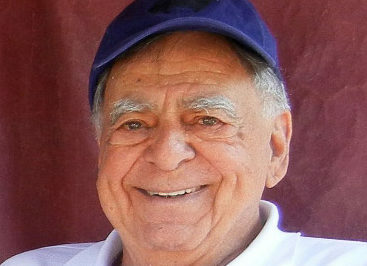 Haas, a longtime financial supporter of his alma mater, U.C. Berkeley, was saluted by the 20-piece Cal Straw Hat Band, which followed his casket down the aisle and played the "Fight for California" song that he loved. The casket itself was covered with a green and gold floral display, symbolizing the Oakland A's, and a blue and gold blanket from Haas' U.C. Berkeley class of 1937. Also at the funeral were U.C. Berkeley chancellor Chang-Lin Tien and former A's stars Reggie Jackson and Dave Stewart. In his eulogy, Herscher praised Haas' commitment to philanthropy. In 1953, Haas and his wife established the Evelyn and Walter Haas Jr. Fund. The fund was dedicated to helping disadvantaged youths, families and the elderly, reducing hunger and homelessness, and encouraging volunteerism and philanthropy. Over the years, the fund's recipients have included the S.F. Museum of Modern Art, U.C. Berkeley's Haas School of Business and athletic programs, the Spanish-Speaking Unity Council, United Way, Glide Memorial Church, area food banks and the San Francisco Chronicle's Season of Sharing Fund. Last year, the fund awarded 310 grants worth $9.4 million. Those grants included $505,000 to the JCF, $100,000 to Emanu-El, $62,500 to the Jewish Home for the Aged in San Francisco, and $30,000 to the S.F.-based Jewish Family and Children's Services. Haas, whose wealth was valued at $490 million last year by Forbes magazine, donated to the federation's annual campaigns, capital drives and emigre resettlement funds. Because of his involvement in the civic and cultural arenas, Feinstein said, Haas also acted as a liaison between the Jewish and general communities. At Emanu-El, Haas donated money to both capital and community service funds. The community service fund, established in the late 1980s, builds interreligious and intercultural partnerships by providing grants and volunteers to primarily non-Jewish projects. Born in San Francisco in 1916, Haas was the great-grandnephew of Bavarian Jewish immigrant Levi Strauss. Strauss, who arrived in San Francisco in the 1850s, began a dry-goods business and later patented the copper rivets for the blue jeans that made him famous. Strauss never married. So when he died in 1902, his nephew, Sigmund Stern, took over the company. Stern's daughter, Elise, then married Walter A. Haas, who became company president in 1928. Their son, Walter A. Haas Jr., joined Levi Strauss & Co. in 1939, after graduating from U.C. Berkeley and Harvard Business School. As part of the family tradition, he learned about the business from the bottom up and started with a job at the company's Valencia Street factory. After serving in the U.S. Army Quartermaster Corps during World War II, Haas rejoined the company in 1946. Haas worked his way up the ladder, eventually serving as Levi's president from 1958 to 1970, chief executive officer from 1958 to 1976, and board chairman from 1970 to 1981. He was named honorary chairman in 1985. Under the leadership of Haas and his brother, Peter, the company continued to expand. Today, it is the world's largest brand-name clothing manufacturer with 36,000 employees and an annual revenue of $6.1 billion. Haas, a former director of United Airlines, Bank of America and Pacific Telephone and Telegraph Co., served on the boards of many national organizations, including the Ford Foundation, the National Park Foundation and the National Commission on Public Service. He also served as a federal and international adviser beginning in the 1960s. He evaluated development projects in Brazil and served on the Presidential Advisory Board for Minority Enterprise, on the Presidential Task Force on International Development and in the United Nations Association. Haas won numerous awards. Harvard honored him with its Alumni Achievement Award in 1979. He was the University of California's Alumnus of the Year in 1983. The next year, he received a Presidential Voluntary Action Award. Earlier this month, the Oakland A's baseball team honored Haas and his family with a home-game tribute. Haas, who is credited with keeping the team in the Bay Area when he purchased it in 1980, sold the franchise earlier this month for $85 million on condition that it remain in Oakland. Funeral services at Emanu-El were under the direction of Sinai Memorial Chapel and Home of Peace Cemetery. Haas is survived by his wife of 55 years, Evelyn Danzig Haas; his children, Robert D. Haas, Walter J. Haas and Elizabeth Haas Eisenhardt; his brother, Peter Haas; his sister, Rhoda Haas Goldman; and six grandchildren. All live in San Francisco. Memorial contributions can be made to the Haas Pavilion at U.C. Berkeley c/o the Student Athletic and Activity Center, Attention: John Kasser, 209 Memorial Stadium, Berkeley, CA 94720; the San Francisco Chronicle's Season of Sharing Fund, P.O. Box 44740, S.F., CA 94144; or On Lok Senior Health Services, 1333 Bush St., S.F., CA 94109.